I posted recently on my biggest issue - a blocked pelvis. "The order in which the aids are applied plays a role in collecting work as well. The calves come first, asking the hind legs to step under. The weight is second, bending the hind legs and directing the horse’s body towards the hand. Finally come the limiting and flexing aids of the hand. 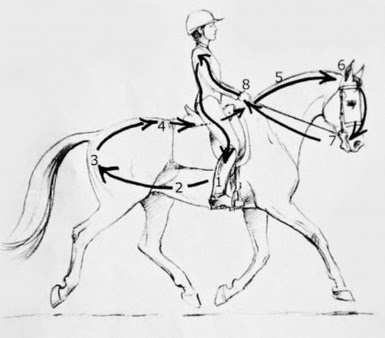 "The final result must be an elastic horse, an unweighted hand, and a rider who joins the movement in the horse’s center of gravity with an elastic seat and an active leg that maintains impulsion and hence collection. 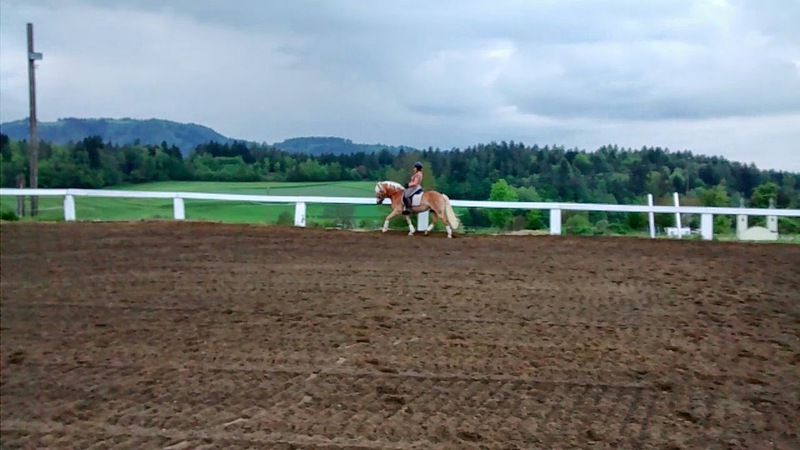 The horse has to step underneath the rider’s seat by himself on account of the impulsion from the back, and he must absorb the rider’s weight with his hind legs. Triggering himself the flexion of the haunches as well as the impulse to swing, the horse must absorb the rider’s weight with his hind legs. " - G.v.Dreyhausen (1951). Leg aids are the starting point - without them you will not be able to engage the hind legs or as I call it: turn on the engine! And in case of horseback riding, the engine is clearly in the back! With the engine (i.e. 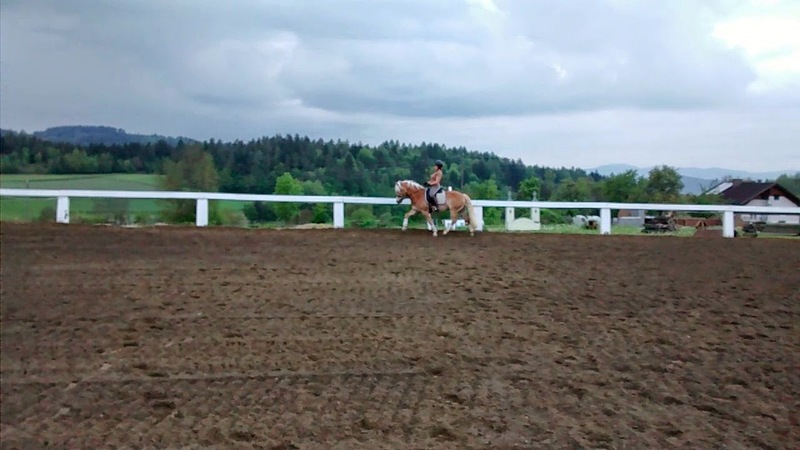 the hind legs stepping under) running (not literally - even though Hafl oftentimes still feels like that), you will be able to shift more weight to the hind legs (and lifting the front legs). It is in his responsibility of the rider after feeling the energy coming through the seat to let it through to the horses mouth with his light and elastic contact to the bit. 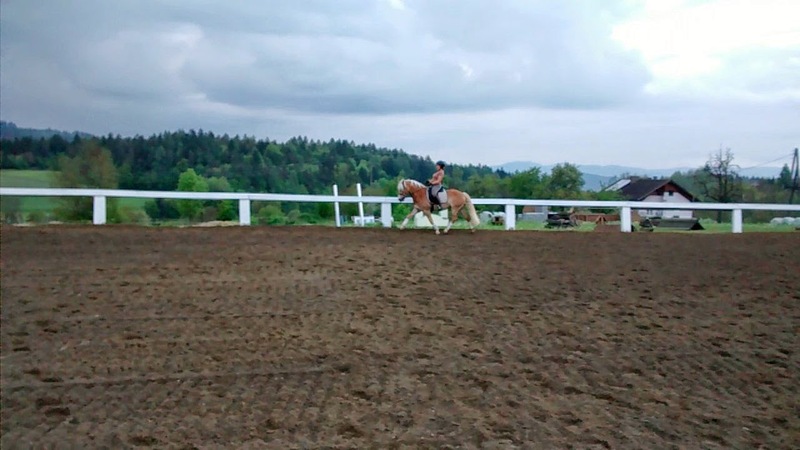 The rider will feel the horse stepping towards the bit (the horse will seek the rider's hand) and with the impulse coming from the bit, he needs to start over again with leg aids and so on and so forth. Good boy for showing such movements even though I am making so many mistakes still.